Doing crafts with your kids is a great entertainment that not only helps them nurture the creativity that problem solving requires, it is a wonderful skill that will start them on their road to frugal DIY. Store your craft materials in clear shoe boxes. 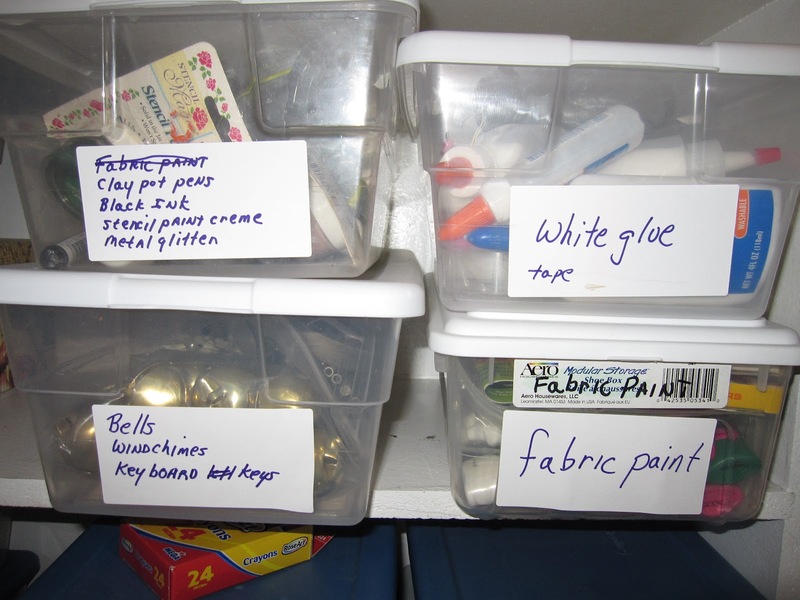 Sort them by types of materials: crayons, adhesives, beads, shiny things, etc. Stick labels on the front of the box and write the "name" of the box with marker on the label. Broken jewelry makes great decorations for gift wrap, headbands or restyled t-shirts. A dab of hot glue will glue that bit of bling onto a pin back, barrette or hair tie. Sharpen your dull scissors with sand paper. Cutting through the paper sharpens the edges. I've also heard that tin foil will do the same thing, but I believe that a fine grit sandpaper works better. Try it. Cover an old cookie sheet with pretty fabric and hang up. Instant magnetic board. Dip the end of your thread into nail polish to help thread through a small hole. You can also use a bit of soap to hold the ends into a sharp point. Hang a jewelry garment bag (those hanging bags with all the little slots) near your craft area. Keep the "little things" that normally keep getting lost in those sections. 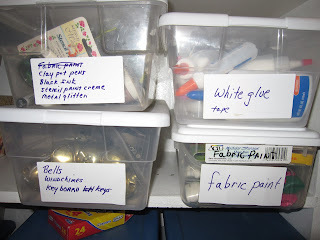 I'm talking about a thimble, thumb tacks, little beads, glue dots, tiny scissors, etc. Keep your fingers from getting burned every time you use your hot glue gun. Get yourself a set of hot glue gun helpers. This helper kit includes insulating rubber to cover your finger tips. No more burned fingers! Or figure out a DIY version and share it with readers in the comments. Use plastic snack bags to keep your craft junk drawer sorted out. I find that this is really helpful for keeping items like rubber bands, wire plastic bag ties, and birthday candles from just taking over the drawer. Use sandwich bags to keep all the little bits and pieces of metal and plastic that you find around the house. You know, the ones that you go, "Oh, this looks familiar. I wonder what this goes to? I better keep it." When no one seems to miss these parts and nothing falls apart without them, I use them in collages. Sign up for discount cards at your local craft stores. I get coupons from both Michaels and JoAnn Fabric. They take competitor coupons. Look for craft supplies at the 99 Cent store. I have found some wonderful finds in their craft aisle. Always look for craft supplies at yard sales. Almost everyone has a few supplies at their sales. When looking at yard sale ads on Craigslist, sort with the words "craft supplies." This will help you find yard sales that are specifically heavy on these items. Go early if you want to score big on these. It will be worth it. 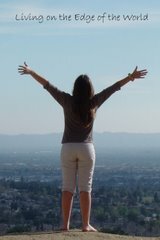 These are great resources for teachers and moms. Keep your craft area organized. At least once a year, do a big clean up. You will discover stuff that you forgot you had. This way,when you are creating a piece of art, you will remember what you have. Paper plates and bowls make for easy clean up - especially if you are working with little kids. Use the paper plate like a paint palette, then toss when the project is through. Or let the paint dry and hang it up as a piece of art. Go to estate sales to find wonderful old cards and paper. These can be used for notes or become part of recycled card art. Antique paper and cards are very hip these days, so you can save a bundle. At an estate sale, they are usually found in the room that has the office supplies and/or wrapping paper. Do you have a favorite craft tip you would like to share?